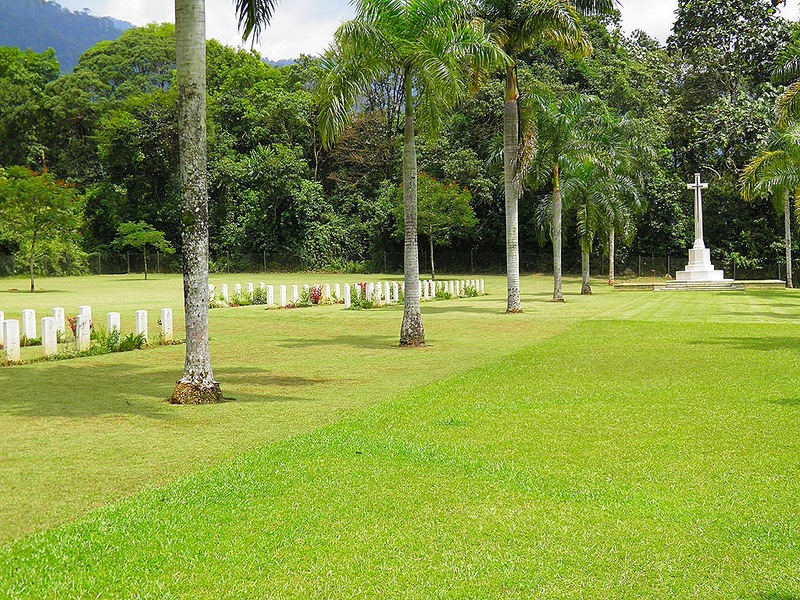 There is a war cemetery in Taiping where 850 Allied personnel who died during World War II are buried. It is located in a very green and pleasant spot next to Taiping Lake Gardens at the foot of Bukit Larut (Maxwell Hill). 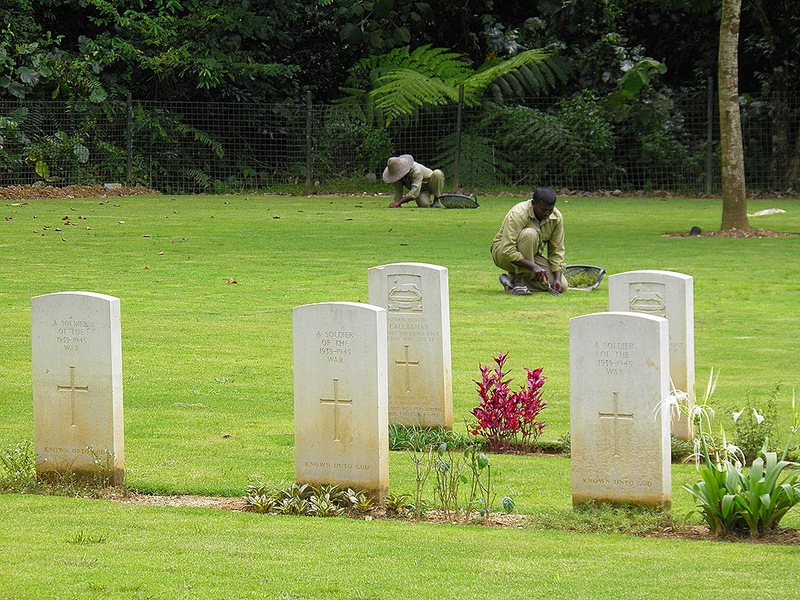 The cemetery is immaculately maintained by the Commonwealth War Graves Commission. 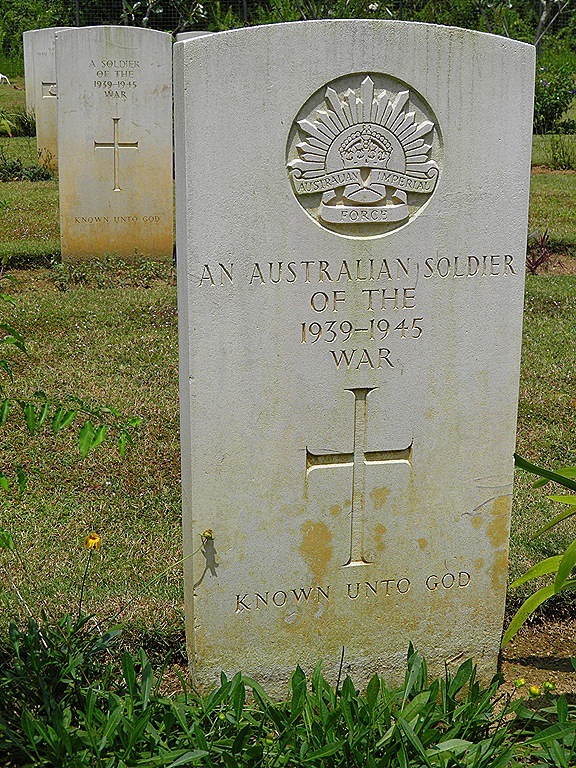 Christians are buried on one side of the road (mostly British and Australian) while the Muslim and Hindu soldiers of the Indian Army are buried on the other side. Muslim graves are facing in the direction on Mecca and so too is this Hindu grave. They were both killed on 9th December 1941. 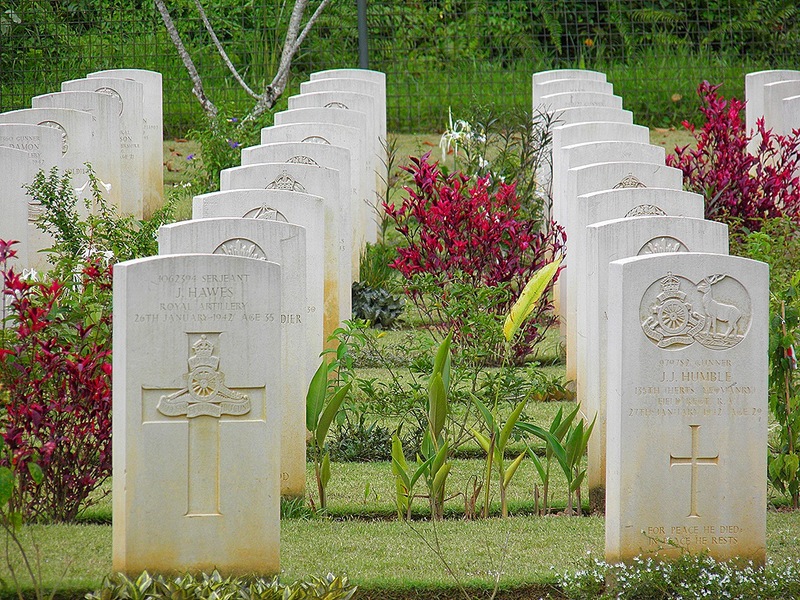 As the Japanese invasion of Malaya only commenced on 8th December they must have been among the early casualties. I was surprised to see so many unknown graves. Over 500 of the 850 remain unidentified. 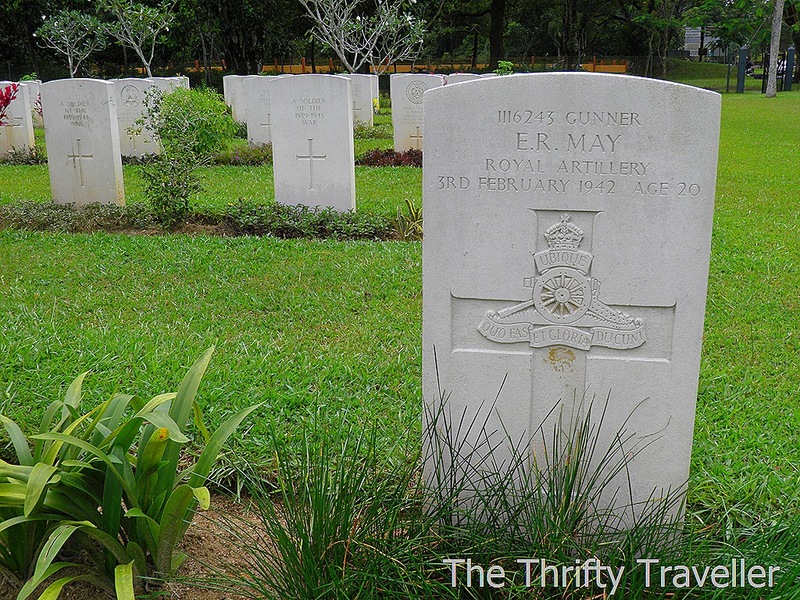 This is because many had been collected up from temporary burial sites and battlegrounds all over Malaya and reinterred here once the war had ended. 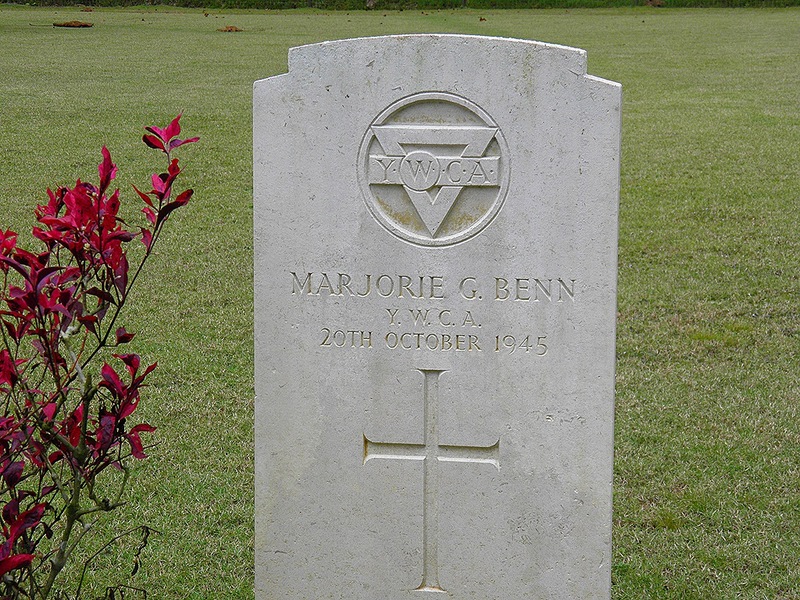 There is one female civilian buried here, Marjorie Benn of the YWCA who died after the war had ended. I wonder what her story was? 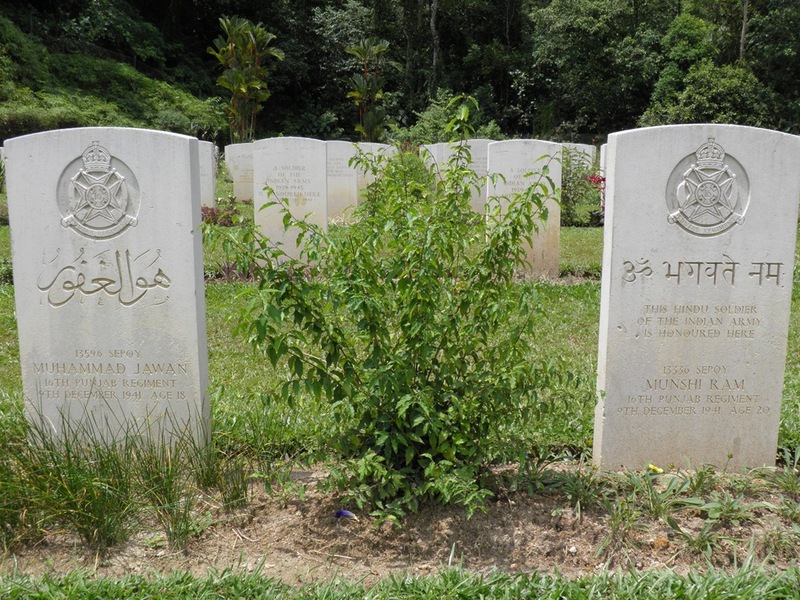 I looked out for familiar names but as far as I am aware I do not have any relatives who died in Malaysia/Malaya.